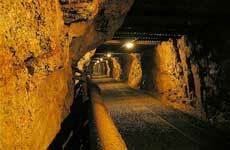 Mine winders are important items of infrastructure in the underground mining industry and there are many installations operating in the NSW coal mining industry. These installations comprise many variations of design ranging from single rope drum vertical shaft and drift slope haulage systems and vertical shaft friction winder systems. The application of mine winders range from those designed for personnel transport only to those designed for both personnel and materials transport duty and to those designed solely for the purpose of coal haulage. These winders are permanent items of the operational mine’s infrastructure. In addition there are shaft sinking winders required for relatively short term projects associated with the development of new or extension of existing underground mines. The purpose of this guideline is to cover the range of drum winder types used in the coal mining industry only. Guidelines for friction winders are detailed in MDG 12. This guideline has been prepared to assist those involved with the design, commissioning and maintenance of drum winders. It is a guide and as such it is not intended that it comprehensively covers all safety related aspects for this type of equipment as it should be recognised that predominately each design is unique.